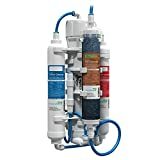 Reverse Osmosis (RO) is a technique that uses a semi-permeable membrane to purify water for industrial processes and potable use. Osmotic pressure is generated when the solvents moves into a region of high concentration while the reverse osmosis takes place when another pressure is applied to reverse the natural flow of pure solvent. During the filtration process, osmotic pressure is overcome by creating a disparity in chemical potential between the solvent and pure solvent. On the whole, the membrane filtration process uses two major removal mechanisms, process straining and diffusion. Some of the elements that are eliminated during the process include ions, bacteria and other microorganisms and effluent materials. Home Master offers a wide selection of undersink water purification systems designed to deliver mineral water straight into your tap. Over the years, the company has been at the forefront of delivering quality and performance to ensure every member of the family enjoys clean and best tasting water. 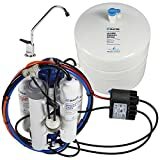 Home Master Undersibnk Reverse Osmosis water filtration system comes with several advantages, including; quick water delivery through the Fast Flow RO kit and easy DIY service, thanks to the incorporation of innovative modular design. The innovative design incorporated into the RO system has also gone a long way to solve problems associated with old RO systems such as high water wastage, low water flow rate and leaks in the canister housing filter. The system also provides advanced purification and filtration results that eliminate up to 99% of chemicals, sediments, heavy metals and other contaminates present in water as well as 99.9% of microorganisms. The filters are easy to change, a fact that eliminates the need to use wrenches. 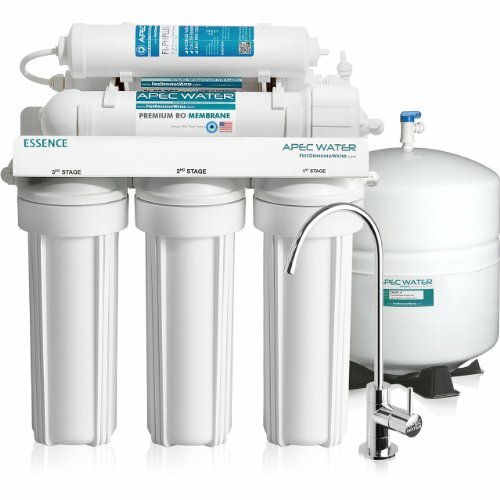 The Home Master TMULTA-ERP Reverse Osmosis System is great for both tap and well water since its features protective iron pre-filters that protects the RO membrane and advanced UV filter that removes microorganisms and undesirable chemical compounds from water. The specially built permeate pump is designed to enhance the water pressure by increasing water production and reducing wastage. Home Master TMULTRA-ERP is one of the most solid water filtration systems in the market. 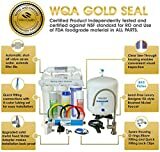 Based on its stellar performance and reputation, the product comes with a 5 year limited warranty that covers manufacturer defects. In terms of specs, the unit weighs 17.4lbs with a dimension of 12’ x 16’ x 20′. The system uses corded electric power source, US plug format and 6 watts of electricity. Every component on the Home Master TMULTRA-ERP system requires a different set of maintenance to keep it fully operational. The filters need to be serviced on an annual basis or after filtering 3,000 gallons of water. The inspection of the sanitize system and the tubing for signs of wear and leaks should be conducted annually, while ensuring the tank pressure rests at 7psi. The other important components that require periodical assessment and replacement include the filter change set (ISet-TMUL-MY12), which should be replaced after 1 to 2 years and the UV filter3 after 3 years. The Reverse Osmosis Membrane, Mem-TFC50 should be replaced after 4 years. Due to the complexity of some settings, and replacements require professional guidance. If you want to know the ins and outs of water filtration please visit our epic guide here.